I loved pudding growing up. Whether it was homemade or out of a lunch box, I had an appetite for all of it. My newest favorite pudding is the Zen Chocolate Almond Milk Pudding. It's chocolaty, rich, smooth and creamy. I really love it! Let's just say I have almost enough UPCs to get the free t-shirt. So now you know that I love it right out of the cup, but I'm going to let you in on my little secret: one day I was eating vanilla ice cream and I wanted some kind of topping. For some reason I thought of putting the pudding on top of the ice cream, and.... Gloopie® was born. I know what you're thinking, "John, this is madness, it can not be done!" Yes, it was no small feat to think outside the box and combine two of the world's most loved desserts. The ice cream I currently have on hand is the new So Delicious Vanilla Almond Milk. 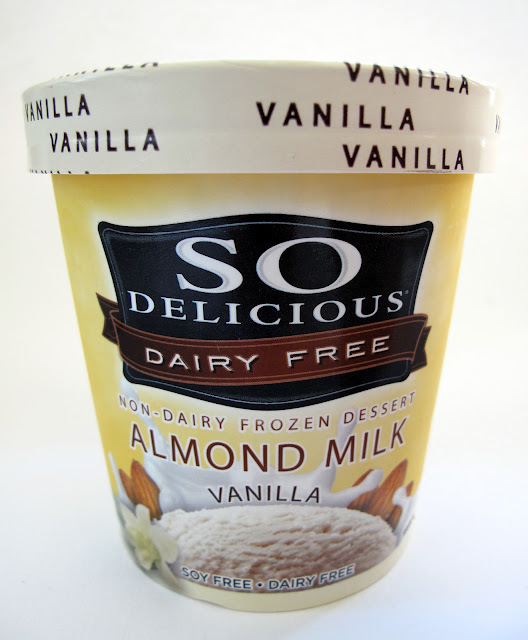 It was kinda nice to taste almond on almond, but I've also tried the Soy Creamy Vanilla and it's equally as good. Here is Gloopie® in all its glory. 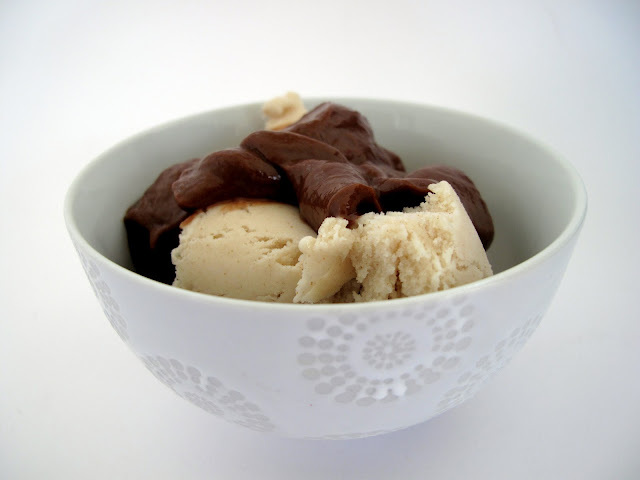 The chilly ice cream covered in rich chocolaty goodness. It's pretty decadent if I do say so myself. I know it's a bold step and some of you are not ready to take the leap. If and when the time comes, I just want you to know that I'm here for you. Gloopie® forever! That looks so good. And I've been dying for some puddin. I'll definitely try Gloopie. YUM! 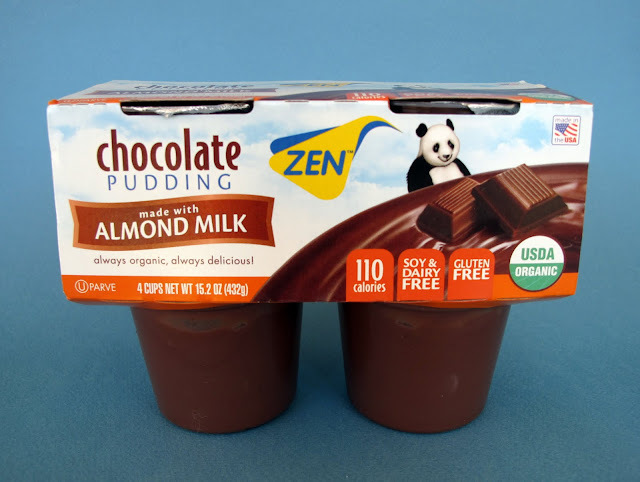 i love choc puddding, but haven't been able to find it made with almond milk anywhere! thanks for sharing! That is a GREAT idea. I'm definitely going to try this. Thank you!